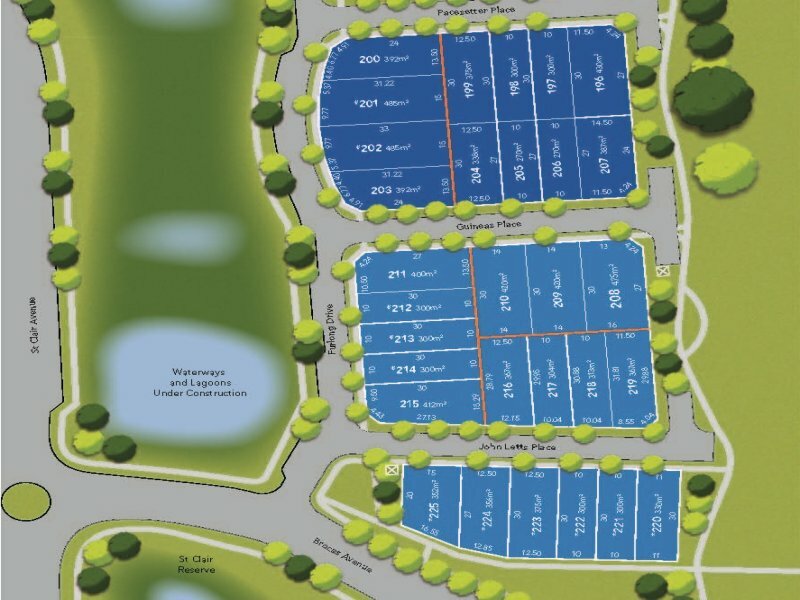 Blocks of land from $265,000 to $475,000. 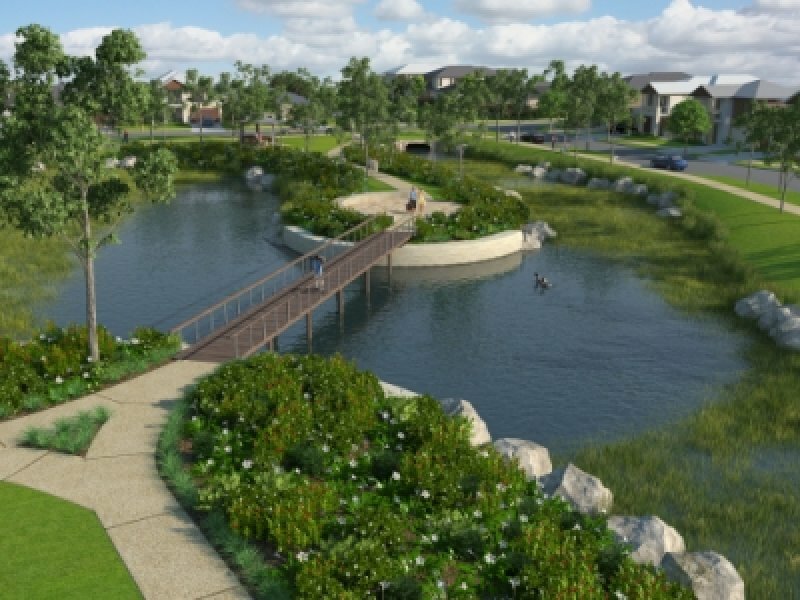 THE community has a chance to have a say on their vision for the contentious St Clair Oval development planned at Woodville, with a rezoning plan for the area released for public comment. The State Government's development plan amendment (DPA) for the area shows buildings up to eight storeys high are planned for the Woodville Rd Oval, with apartments, offices and shops. Up to 300 homes are planned in the precinct, with a strip of open space on the development's Woodville Rd frontage. The plans have divided the community since 2009, when Charles Sturt Council voted to trade a 4.7 ha piece of the reserve with the State Government. In return, it received a 4.7 ha piece of the neighbouring Actil factory site on Actil Ave, which has since been developed into a new reserve as part of a larger housing development on the former Cheltenham Racecourse. I visited the new Coles St Clair this morning. I wasn't expecting it to be huge but I did think (based on its external appearance) it would at least be as big as Coles West Lakes (or preferably a bit bigger). Unfortunately it's VERY small! Flooring looks a little less than pleasing to me. There's a tiny little mall outside the Coles store but I think it would have been better if they had just used all the space for a bigger Coles, especially as they obviously are short of space. The carpark is also small and the access roads very narrow (so much so they had to employ two traffic controllers this morning, not because it was busy because it wasn't, but just to manage ordinary traffic. For a go-ahead company like Coles, which impresses me in many other ways, this store is a bit disappointing based on my first visit. I am however very impressed with the public artworks surrounding it. Why can't Rundle Mall have such things? Also visited this afternoon, and as pushbutton has pointed out, it isnt the biggest store, but in saying that, it is a full line store, and I did happen to notice they had a Bay each of 'Down Down' Weet Bix, Coles UHT milk and Coles cereal, so they can't be too stretched got room. 11(I think it was) aisles is a decent store size, and they aren't too narrow. Plenty of registers to accommodate the massive growth of St Clair. And those 2 controllers were there when I was as well, that 'Street' to the carpark really is a shocker.. This would have been councils doing though right? From outside looking near the roof it appears as if the building is not complete as there are huge gaps under the roof and on top of the walls. I had thought these gaps would be filled by windows, which would be visible from inside Coles. That potentially could have been quite nice as it would have let lots of natural light in, and meant the roof would be nice and high. However none of that is visible from in Coles and I haven't been able to work out what is actually going on in that gap or whether they intend to fill it. Inside Coles, there is no ceiling and it looks really shabby if you look up as all the utilities (airconditioning ducts, cabling etc) is visible. As I've said about other stores that have done that, they could have got away with it had the roof been about 3 times the height it is, but at this height it just looks ugly. I hope they will come to their senses and realise this puts customers off, and put a ceiling in. I will keep shopping at Coles West Lakes. It's nothing fancy but it looks nice and is big enough to carry a good range. I will look forward to seeing the new Coles Supercentre at Churchill Centre when it opens as I think it will be interesting to see one of their new flagships and see if it's better than West Lakes. If it is I'll probably start shopping there. Last edited by pushbutton on Thu May 02, 2013 10:41 pm, edited 1 time in total. Was at St Clair 2 weeks ago, entered off Torrens Road, and could not even find the coles or town centre. I did think though that the giant park in the middle gave the developement a nice spacious feel, and the housing at least looked interesting and varied from the street. Look forward to seeing how the wetland area works out. Also, driving along Woodville Road it was good to see some new developement there. Lets hope it takes off, because Woddville Road has never really lived up to its potential as a high street. The Coles is just off Cheltenham Road Claybro. I don't know if people know this... but at the back of this development is Coles' new HQ/head office for Adelaide [their Admin.] and assume that is what the underground parking is for. It also goes towards understanding how this St Clair Village is quoted as a $78m development....however it still seems way too expensive [Woolworths - Walkerville was quoted as $30m]. Just wondering if this figure includes the future SAJC pokie tavern/pub etc to be built adjacent and the new train station to be built there? neoballmon wrote: The Coles is just off Cheltenham Road Claybro. Thanks, I am really interested to see how this whole developement proceeds due to all the NIMBY protests about it. Would really like to see it succeed. It has all the right ingredients, hopefully it is done well. pushbutton wrote: Inside Coles, there is no ceiling and it looks really shabby if you look up as all the utilities (airconditioning ducts, cabling etc) is visible. As I've said about other stores that have done that, they could have got away with it had the roof been about 3 times the height it is, but at this height it just looks ugly. I was at the recently renovated Parkholme store today for training, and noticed that this store has a complete ceiling, with only lights (cameras and speakers too) visible. I suppose this could be because the old portion of the building had a lot of ugly services running through the roof, but surely they know after doing this, how great a new store looks with a real ceiling. Strange mistake for them to make again with St Clair. I went to St Clair Coles today, the centre looks nice inside open and spacious the Coles is a good size 15 aisles, there seems to be a store next to Coles where the trolleys (right side) are that will be connected, I'm thinking Liquorland, the outside shop frontage of this is painted in red (Coles branding). The car park is very tight to enter but seems to be a temporary fix - There's a spare block opposite car park with a turnoff marked on main estate road directly in front of the awkward tight entrance.